BUYING, SELLING, RENTING, AND PROPERTY MANAGEMENT EXPERTS! 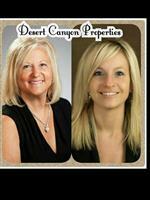 Welcome to Desert Canyon Properties a premier real estate website serving Chandler, Gilbert and Maricopa, Arizona! Buying a home in Chandler, Gilbert or Maricopa? Finding the right home can be a difficult process but no matter what you are looking for, our qualified and experienced team of agents can provide you with the resources you need to make the home buying process as seamless as can be. What makes us the best? Our agents are long time residents of the area so we know these cities inside and out. Whether you're looking for specific information about Chandler or Maricopa Neighborhoods, tools to estimate your mortgage payments, or buyer resources and articles that will help you through the home buying process, you'll find that our web site has it all at your fingertips. Need more or different support? No problem, call and talk to us in person! (602) 818-2511 or (602) 653-9075. Increase your reach by leveraging our agents expertise and the marketing resources of Desert Canyon Properties. We will sell your home quickly and at the right price. Learn more about us and the services we offer, or check out our proven track record by reviewing our recent home sales in Chandler, Gilbert and Maricopa. Ready to get started? Reach out to one of our agents right now! Desert Canyon Properties web site provides you with all of the steps (and the forms) you need to complete to get you into your new house, fast. If you're ready to rent now, start by filling out your application today http://www.desertcanyonpropertiesmanagement.com/tenants. 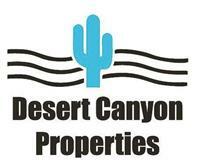 Desert Canyon Properties is also a full-service property management provider. We'll keep your property rented to quality tenants and absorb all of the headaches of being a landlord! Visit http://www.desertcanyonpropertiesmanagement.com site for more information. Are you interested in more details about living in the Chandler, Gilbert or Maricopa areas? Request a neighborhood report. We'll provide you with school details, real estate mortgage information and interactive maps. 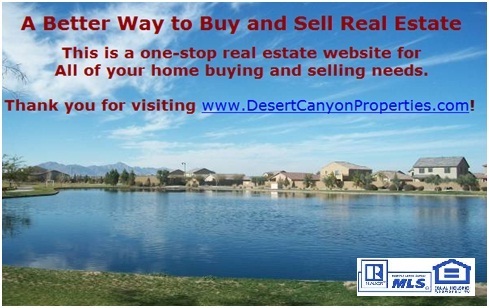 Thank you for visiting www.DesertCanyonProperties.com! We're a one-stop real estate, rental and property management website serving Chandler, Gilbert and Maricopa, Arizona. Whether you're buying, selling, renting or looking for property management, we'll make the process enjoyable. Please feel free to contact our office, or members of our team, at any time.